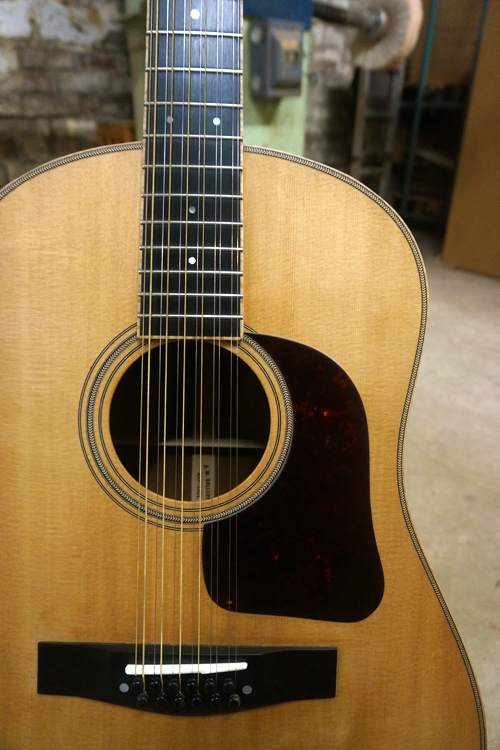 A 12-string, modified dreadnought, with custom specs similar to the classic Doc Watson model. 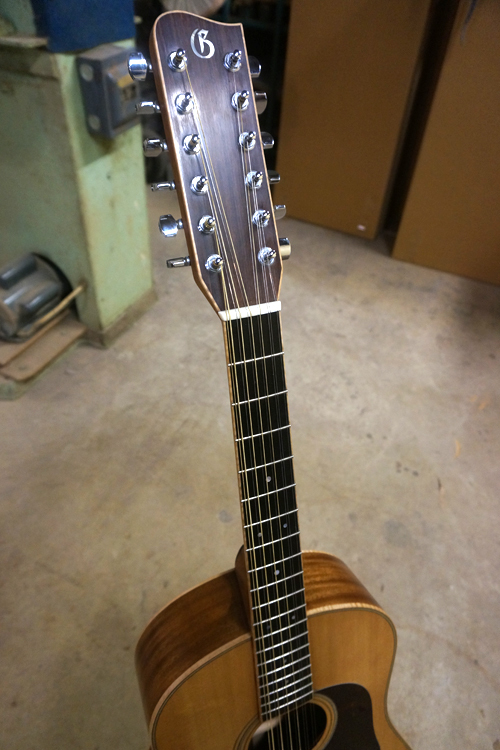 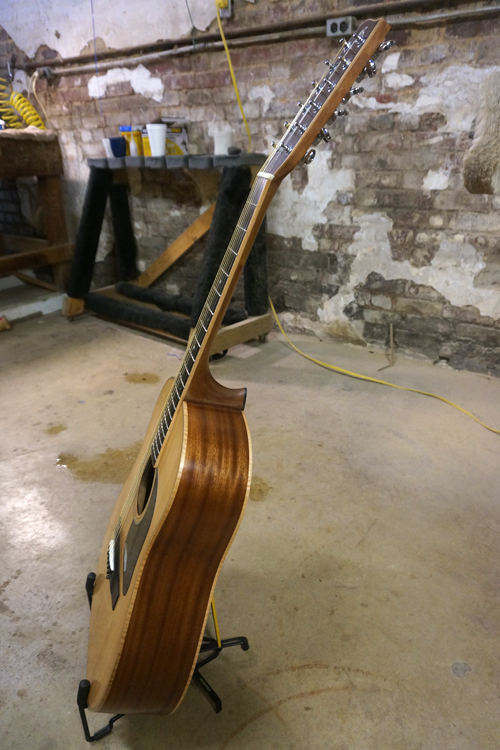 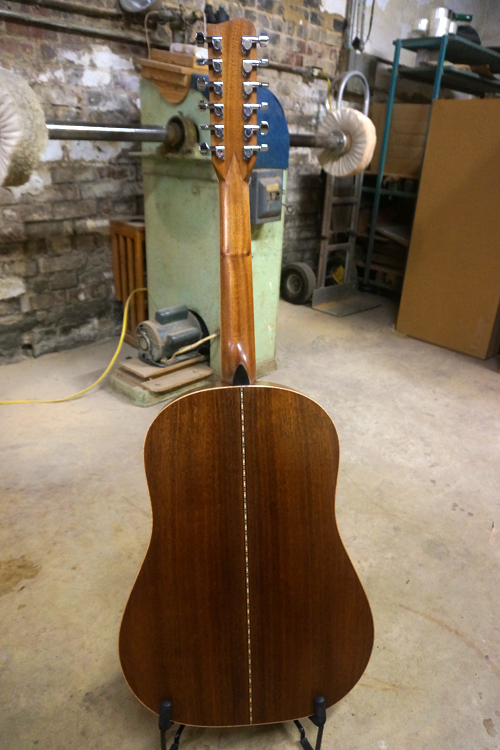 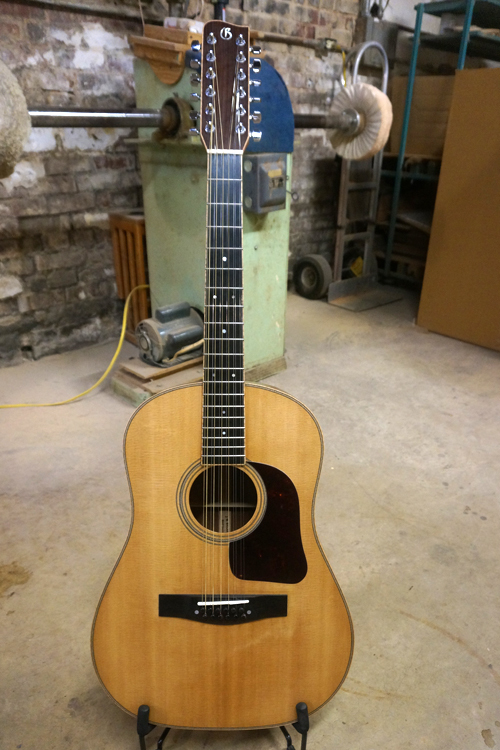 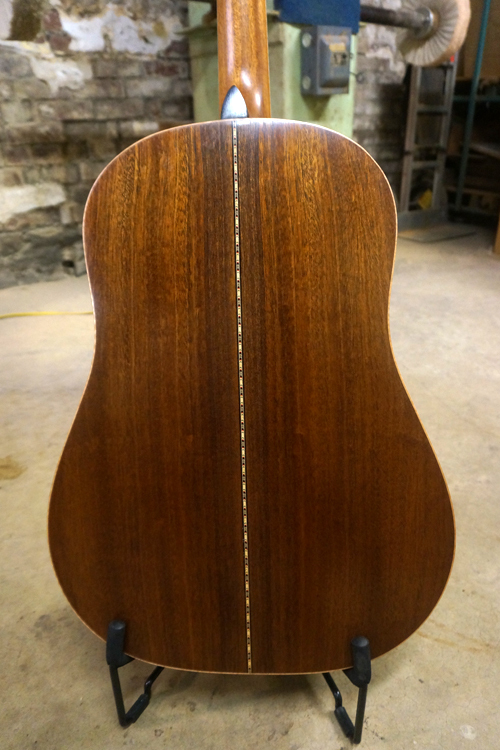 This guitar was started as a custom build for a customer who later bought a different model. 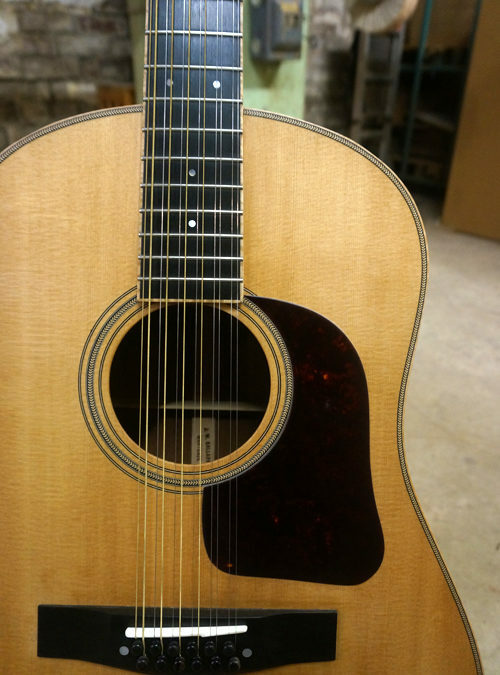 It will be the only 12-string built by Gallagher this year.